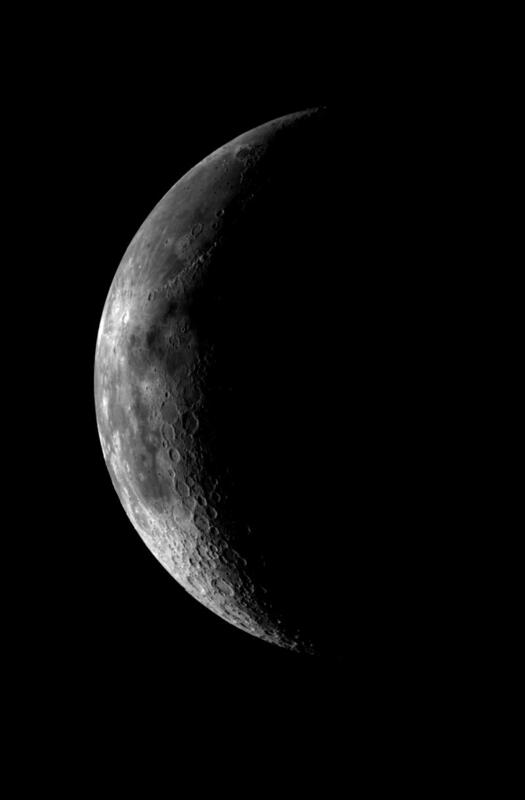 This image of the crescent moon was obtained by the Galileo Solid State imaging system on December 8 at 5 a.m. PST as the Galileo spacecraft neared the Earth. The image was taken through a green filter and shows the western part of the lunar nearside. The smallest features visible are 8 kilometers (5 miles) in size. 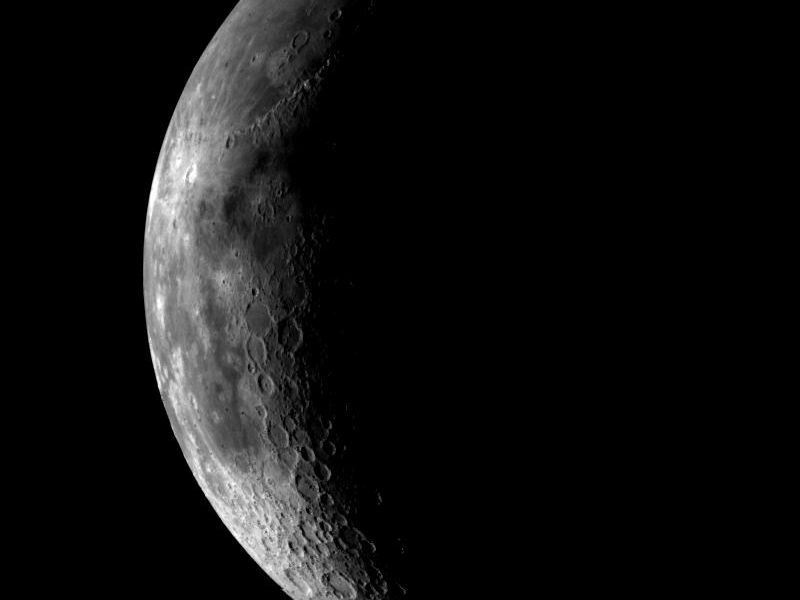 Major features visible include the dark plains of Mare Imbrium in the upper part of the image, the bright crater Copernicus (100 km, 60 miles in diameter) in the central part, and the heavily cratered lunar highlands in the bottom of the image. The landing sides of the Apollo 12, 14 and 15 missions lie within the central part of the image. 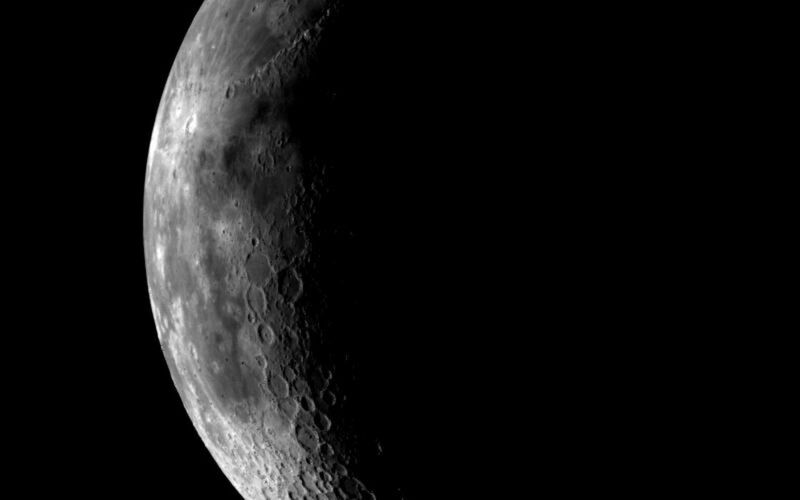 Samples returned from these sites will be used to calibrate this and accompanying images taken in different colors, which will extend the knowledge of the spectral and compositional properties of the nearside of the moon, seen from Earth, to the lunar far side.